STARTING anew, Maria (Christine Reyes) gazes blissfully at her family, the symbol of her liberation from the fright and gore of her past. While savoring her redemption, she was not expecting that the evils from her former identity would seize and ravage her present life. After they annihilated all her inspirations and reasons for existing, Maria summons the clandestine beast inside her, Lily, allowing her to avenge her family and put an end to the demons of her past. Directed by Pedring A. Lopez, Maria tells the story of a former cartel assassin who failed one of her missions. After faking her own death to escape the cartel’s possible castigation, she transforms into a new identity as “Maria” and starts a new life with her own family. Unfortunately, when her former lover Kaleb (Ivan Padilla) discovers that she is still alive, he starts tracking her location and eventually takes the life of her family. In order to avenge her loved ones, Maria becomes a merciless vigilante seeking justice for the death of her husband and daughter. Maria’s victory cannot be attributed to its attempt to provide a new flavor to the genre. Rather, it is in the generosity of the film to give the audience the maximum experience of a creative portrayal of violence and bloodshed without dulling the audience’s senses, unlike what is commonly catered by films of the same genre. By fusing images of ruthless manners of killing such as torture using a pair of pliers and the use of stiletto heels to accomplish slayings, as well as by summoning the protagonist’s rage fueled by her painful experiences, the film successfully created unsettling and vicious scenes yet gave the audience a reason to sympathize with and understand why Maria ended up staging a killing spree. Despite the film’s overall appeal of savagery and action, Maria still effortlessly touches the hearts of viewers, especially during the scene of Maria and her daughter depicting the famous sculpture, Pieta. This scene fuels the curiosity of the viewers to anticipate Maria’s resolution to address her agonizing experience, or by summoning and embracing her old self, Lily, to take the wheel of her life. As Maria embraces her former identity, the film showcases a brilliant execution of the duality of its protagonist: Maria as a ruthless vigilante performing a killing spree, but also as a grieving mother and a wife seeking justice for the demise of her family. This is a dramatic and ironic depiction that provides depth and essence of the film’s overall appeal. This component establishes the film’s attempt not only to create high-end action scenes but also to affirm its intention to provide slices of reality and emotional punches. From a delicate lady to a sophisticated feminine in action, Reyes showcases her superior acting skills as she performs her role as a dutiful mother and a deadly assassin capable of wiping an entire horde of enemies, either with bare hands or random weapons. 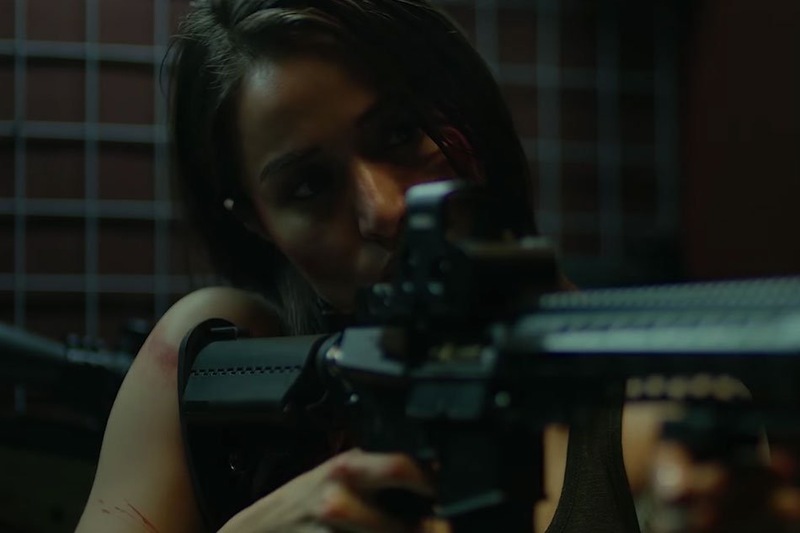 In Maria, her first action movie, Reyes affirms her versatility as an actress by performing the stunts sharply and with precision, especially during the scene where she fought another lady assassin gracefully but with ferocity and strong will to win. In terms of production elements, the film provides excellent lighting and tone by playing with shadows and light. This creates a melodramatic effect and reimagines Manila as the principal platform of all the flawless and seamless combat sequences. Maria’s sound effects are all exceptionally mixed as one can clearly hear each punch and cracking bone. However, the film also has its fair share of downsides, such as when some actors deliver lines in an unnatural and robotic manner. Adding to this are the abrupt transitions from one scene to another, which do not establish logic.